Displaying 3 posts matching `streaming`. Show All Posts. 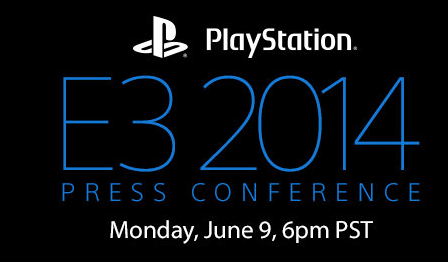 All eyes on on Los Angeles for Sony's big PlayStation event tonight at E3, set to begin at 6 p.m. PDT. The live web stream is going out in nine languages, and we're thrilled to be there with our interpreters and the equipment to make it happen. The video game and tech press is gathering at the Hammerstein Ballroom in Manhattan for Sony's big PlayStation event tonight, set to begin at 6 p.m. EST. What do you do when you have an English speaking meeting taking place in Connecticut, yet you have a large number of people located in various countries around the world who need to not only be able to follow the meeting live, but also to be able to participate in the discussion in their own language? To further complicate matters, space and budget do not permit simultaneous interpretation to be situated at the meeting location. That's the situation presented to us by one of clients recently on behalf of a major pharmaceutical company. Fortunately for everyone, this is an area in which Clarus' specializes. Using our in house studios, rental inventory and expertise we were able to design a custom solution that would fulfill every expected requirement whilst providing some additional unexpected benefits. The meeting took place on schedule, utilizing the Bosch NG discussion system with automatic cameras. 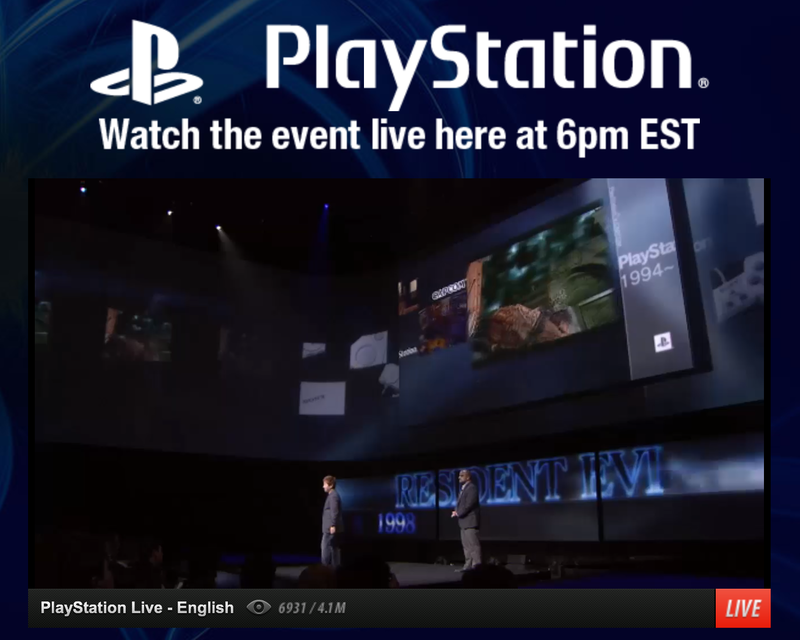 The resulting multi camera feed was then cut onsite with a direct feed of the presentations and fed to a streaming server for delivery via the internet. Customers in various countries were provided with logins for a customized secure website where they could follow the meeting along in real time using their own computers. At the same time they were provided with additional information in their own languages and live multilingual chat help. 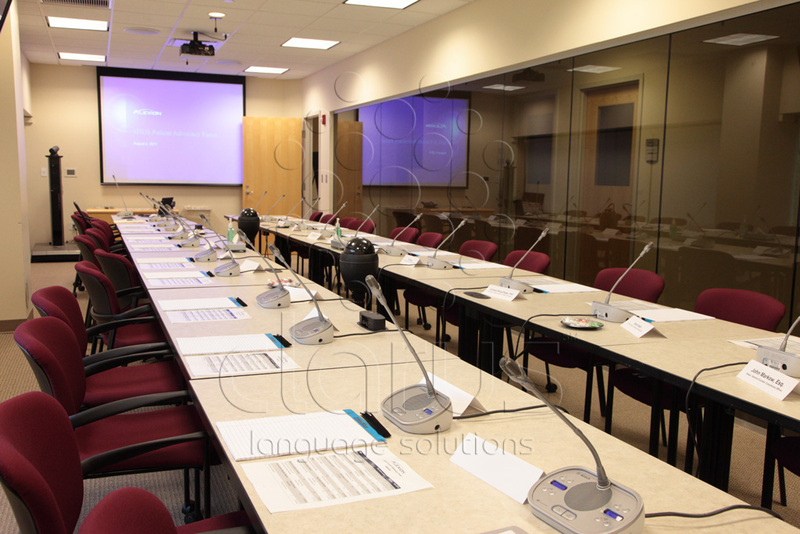 The team of simultaneous interpreters, located at our headquarters in Valencia, California, seamlessly interpreted both the six hours of the presentations and the multiple Q&A sessions. Clarus Language Solutions - Innovative solutions for seamless communication in today's networked, multilingual, business environment.